Finding the best plane route to your intended destination is a past time that most people have taken part in, especially if you’re an avid traveler (much like myself). It can be tough to decide whether you’re looking for the perfectly balanced route (in regards to time and money being spent), or something that’s just going to get you there as quickly as possible. Everybody isn’t going to come equipped with the money needed to get onto those fast flights, so it’s only ideal to figure out the best routes. 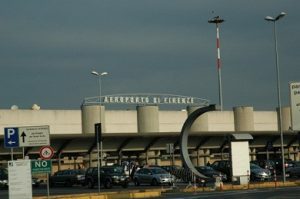 The Florence Italy airport is only about a fifteen minute taxi ride away from the city center and the train station, so you have nothing to worry about when it comes to getting to your hotel; it’s the airport that you’ve got to worry about getting to. There are many routes for you to take (by plane) if you want to fly to Florence Italy, and we’re going to talk about them a little bit. These are the “quick flights” to travel to Florence Italy that I was mentioning before, because most of the time direct flight tickets are about twice the amount of money as your run-of-the mill airplane ticket. Direct flights will always be ideal for people who don’t want to spend a long time in the air, because phobias exist; that means some of us out there just don’t belong on planes for a long period of time. You’d have to be willing to dish out some pretty serious cash if you wanted to catch a direct flight to Florence, but you wouldn’t have to worry about transferring planes at any point. 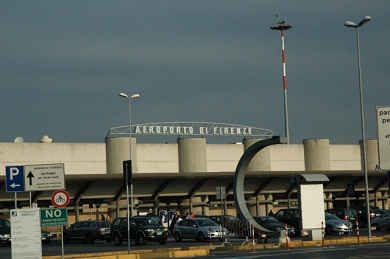 You simply get on a plane located at your local airport, and then get off when you’ve reached Florence; it’s as easy as that. This is only doable if you live in Europe. Here is a list of the cities from where you can directly fly to Florence Italy. It includes many EU capitals like London, Paris, Amsterdam, Madrid, Berlin, Bruxelles, Wien, Geneva along with other big EU cities like Barcelona, Zurich, Frankfurt and Munchen. What can almost be considered a direct flight is any flight to Pisa, from where a train will get you to Florence city center in 70 minutes. This airport is connected with even more EU cities, and also with New York City. Layover flights are the alternative to a direct flight, and it’s mainly because they are much more affordable. Obviously going this route will need to neglect some of the benefits that come alongside taking a direct flight, but isn’t the money you save going to be worth it? Layover flights to Florence will have you getting off of the plane you initially boarded at some point (most likely around another location in Europe), and waiting until your next plane arrives. Layovers aren’t that bad sometimes, but in other cases, they can be well over 10-15 hours. Some people have even just had to stay at the airport overnight due to delays and such, but there are also layover flights that flat out have you staying the night before boarding again. When you don’t like flying, you’re not going to go with a layover flight. Florence is a beautiful city, but odds are it’s going to be a little far away from you. Unless you’re located in Europe (or Asia, for that matter), you’re going to have to fly overseas; a feat that is always going to guzzle time. 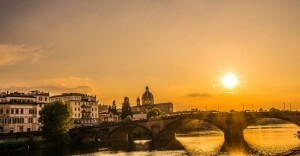 By the way, you probably don’t need a layover flight to fly to Florence Italy: you just need to reach one of the main Italian cities like Rome, Milan, even Naples, which are connected to Florence with very fast trains. In the end, you’re still getting to the beautiful city of Florence; so how you’ve actually managed to travel there won’t really apply once you step foot on Italian land! 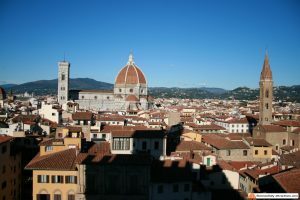 You can spend your time flying getting informed on the city: start here with a list of Florence Italy facts.